“Windows, even those with heavy shutters, were no help against the rain. It came with a wild westerly one moment and with a sirocco the next, constantly changed the angle at which it fell, attacking now frontally, now from the side, until it had crept through every invisible opening in the walls and woodwork. In their rooms, people made barriers of towels and babies’ nappies beneath the windows. When they were sodden they would be wrung out in the bathroom and quickly returned to the improvised dykes. 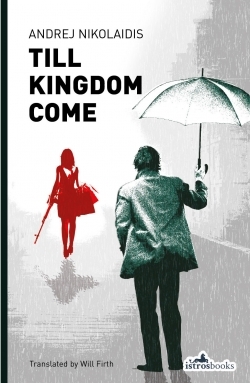 As befits its title, Till Kingdom Come – the latest novel by Montenegrin author Andrej Nikolaidis’, his third to be released in English by London based indie publisher Istros Books – opens with a deluge of Biblical proportions. The heavens above the historically rich tourist town of Ulcinj have unleashed an extended season of torrential and relentless rain. As water rushes down the streets and seeps through walls and floorboards, the reader is quickly introduced to the narrator, a freelance journalist, a man who faces the world with reserved and stoic humour. Or so it seems. But then nothing is what it seems, and for our poor narrator most of all. It soon becomes apparent that our hero has long suffered from periodic lapses in temporal/spatial reality. He has been known to just drift off, seeming to have lost consciousness to those around him, while he finds himself in some distant country or city previously strange to him that he suddenly knows intimately, until he wakes up back where he started. This dissociative tendency which has haunted him for years has left him with a rather slippery sense of self that, more than anything, seems to engender an abiding sense of ambivalence. That is, until the arrival of a man claiming to be his uncle causes him to have reason to doubt the veracity of his entire existence. He had believed that his mother was dead and he was raised by his grandmother, a belief supported with stories, photographs, a history and an unusual Jewish name. Discovering that his past was faked, sets him off on a passionate journey of speculation and self discovery, assistsed by a police inspector, directed by an anonymous email source and fueled by an obsessive fascination with serial killers and conspiracy theories. For my money, Till Kingdom Come is a more mature and demanding work than The Coming and The Son, both of which I thoroughly enjoyed. Nikolaidis is a highly political journalist and here he is clearly intent to skewer politics and economics with more direct, at times shocking, barbs. The Bernhard inspired intensity of The Son is dialed back a little while the historical diversions that provided an intriguing counter commentary to The Coming have been worked back into the narrative. As in these first two Istros releases, translator Will Firth captures the mood and intensity seamlessly. 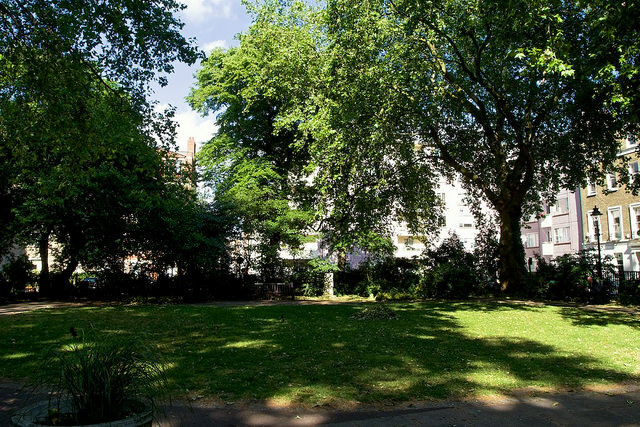 And, on an entirely personal note, it was a delight to see Red Lion Square and the Istros Books office worked into the text. However when I visited this summer I did not magically find myself strolling down Oxford Street. I got hopelessly lost and had to be rescued from the Tube Station by the editor herself, but then London on a map and London on the ground for someone who has never been there is, well, a metaphysical rather than metafictional experience to say the least! In his introduction to the second English edition of Hansen’s Children, BBC Correspondent Nick Thorpe visits a real life leper colony, the last in Europe, in the small hamlet of Tichieletsi in south-eastern Romania where a dwindling number of disfigured patients live out their final years, tended by medical professionals while enjoying the companionship and domestic tranquility of their close knit community. He then goes on to examine the way that Montenegrin novelist Ognjen Spahic re-envisions this leprosarium against the dying months of the brutal dictatorship of Nicolae Ceausescu in 1989; creating a perfect, if horrifying, template against which to explore questions of power, corruption and violence throughout the history of Europe – looking to the past, the present and the future. The “children” of the title refers to the unfortunate souls infected by the bacillus first identified by Gerhard Armaeur Hansen. It is a term by which our unnamed narrator, our leprous Homer, refers to himself and his fellow inmates as he recounts the tale of life within the fenced grounds and the cold damp confines of the aging three-story building that serves to house the remaining inmates of the leprosarium. At the time he arrives they number eleven men and one ancient woman. Outside the gates, a fertilizer factory, ubiquitous on the Romanian landscape, belches out smoke and receives a rotating contingent of increasingly disgruntled workers. From his window he gazes longingly at the Transylvanian Alps, dreaming of freedom from exile and confinement. In fact we learn at the outset of his account that his dear friend and roommate, an American man named Robert, has secured false passports and made arrangements for their escape. This hope will not only feed our hero’s ego, but give him a will to live no matter what the cost, as conditions inside and outside the leper colony decline. In desperate circumstances, brutality knows no boundaries. The picture this novel paints is not a pretty one. It is however strangely engaging and, in the end, deeply moving. The graphic, disturbing details of the progressive ravages of the cursed disease on the bodies, organs and functions of Hansen’s children is painted with a healthy serving of satire. Black humour and tragedy are deeply entwined. Apart from this novel, only a few of Ognjen Spahic’s short stories have been translated into English although he has published three story collections. 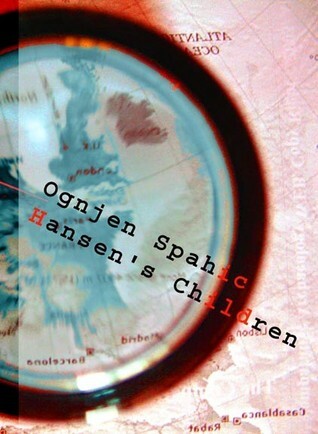 Hansen’s Children, which was originally released in 2004 when he was still under 30, has received several important European awards.His most recent story collection won the 2014 European Union Prize for Literature for Montenegro and in an interview on the site he describes himself as more of a short story writer than a novelist and speculates that prizes can increase international attention and encourage translations. I, for one, would be keen to see more. Note: In addition to his story “Raymond is No Longer With Us – Carver is Dead” which was included in the anthology Best European Fiction 2011 (Dalkey Archive Press), the story “All of That” can be found on the online journal B O D Y and the title story from his latest collection Head Full of Joy can be found at the European Union Prize link above (following the original Montenegrin version). There comes a moment in Andrej Nikolaidis’ novel The Son where the unnamed misanthropic narrator, confronted with a hideously deformed family of lepers who have taken up residence in an abandoned car park in the Montenegrin city of Ulcinj, imagines that he is “a piper with a funny Tyrollean cap, which Thomas Bernhard would find laughable, and (…) dressed in green knickerbockers with suspenders like Heidegger used to wear” who proceeds to march through the streets of his home town gathering a following of the wretched, desperate, and diseased denizens of the streets, dark corners and hovels and leading them right down to the seashore, where he proceeds, walking out across the water, while the “grisly army” he has amassed disappears beneath the waves. The Son is a dark, unrelenting journey into all the misery and disappointment that life and, those who claim to be your friends, family and lovers can bring. Our anti-hero is not a warm, generous soul. Admitting to his own perverse, gruesome obsessions in the early pages, he reports that his wife has just left him and he is bitterly alienated from his father. He perseverates about the cruelty of the forgiveness his father repeatedly bestowed upon him regardless of the destructive nature of his actions. He manages to vent anger at everyone he encounters, remarking at one point that he was “reminded once again that the nicest things we can say about a person is that one day they will die and cease to bother us.” As readers we are swept along on a scotch fueled odyssey into the heart of the city where a series of old acquaintances and disreputable characters seem to fall into his path where they are treated with a curious mixture of revulsion, pity and disdain. He is, in essence, the most vitriolic Bernhard monologuist transported from Austria to Montenegro and boiled down to the meanest bare essentials. 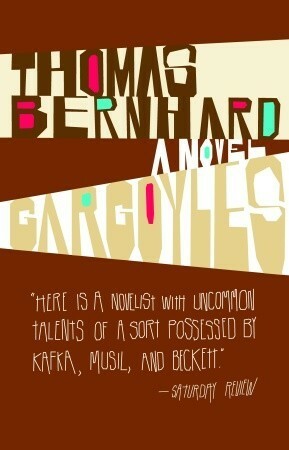 By contrast, my current Bernhard read, his early break through novel Gargoyles, seems airy and light. Published in 1967, Gargolyes was given its title in the English translation (the original German translates closer to something like distress or disturbance) presumably drawing attention to the grotesque series of characters encountered by the narrator, a son home from school, as he accompanies his father, a rural doctor, on his rounds to a series of isolated, ill and mentally unstable patients. The themes of madness, isolation and suicide recur as they make their way to Hochgobernitz where the aging Prince Saurau takes centre stage for the second half of the book, embarking on an increasingly intense monologue, mourning his own estranged relationship with his son who is away studying in London, and philosophizing about the hopeless and inevitable destruction and collapse of human society. For my money, the characters that inhabit the pages of The Son are every bit as grotesque as those in Gargoyles, if not more. In both cases they serve as extreme, cartoon-like voices for exploring themes that are in turn horrific, humourous and deeply human, pivoting coincidentally around the relationships between fathers and sons. Amidst the rants against man’s inhumanity to man and musings about the madness and disease of modern society; a desperate compassion comes through. That is the compulsive beauty of reading Bernhard and, for those curious but afraid of the endless single paragraph style typical of most of his work, Gargoyles is a perfect introduction. For his part, Nikolaidis seamlessly transports the energy of Bernhard to the post Balkan War reality of a country he clearly loves passionately. As with his earlier book The Coming, it is also a dark meditation on Montenegro’s rich, complex past and uncertain future. In a guest blogpost for Winstonsdad’s Blog (a great resource for works in translation), Andrej Nikolaidis reflected on his love for Bernhard and the influence he has had on his own work. Upon his first encounter with The Loser, (also my first introduction), the Balkan war was raging and he could see timely parallels in Bernhard’s existential analysis of Austrian society in a state of decay and collapse. He also finds in Bernhard the prose response to poet Paul Celan’s famous poem ‘Fugue of Death’ or ‘Todesfuge’. He hears the rhythms of Bach ring through the works of both men – and Bernhard was a musician first – envisioning Celan as a character who could have walked out of a Bernhard novel. 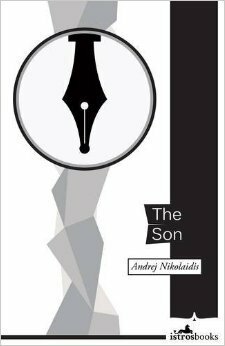 With The Son, and a sound track updated to incorporate the noisy sound styling of Sonic Youth, Nikolaidis’ work carries the banner forward.